When faced with a large and/or complicated project (e.g. plan staff training) it's easy to get overwhelmed before even starting. Procrastination often sets in as you try to figure how to get the task done. 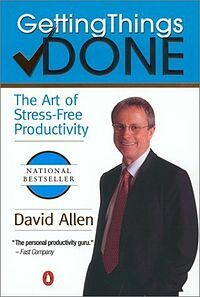 David Allen, author of Getting Things Done, emphasizes the importance of creating initial momentum. If you can just get started by taking a step forward, no matter how small, you begin to develop inertia. Follow that step with another, then another. Allen suggests beginning any project by asking the question what's the next action? Once you've answered the question, take that action. Then ask the question again, what's the next action? Do it. Keep repeating the process and you'll create momentum that will lead to completing your project.